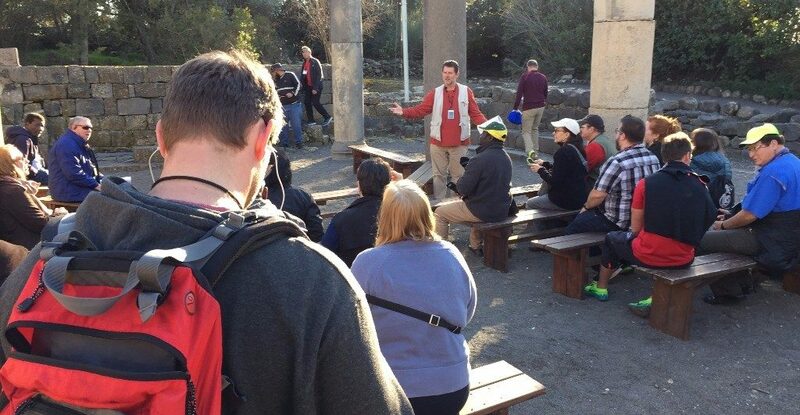 Randy Smith believes sometimes “seeing is believing” and it is one reason he is so careful in planning the study tours he leads to Israel, Italy, and other countries in the Mediterranean region. “I couldn’t find any way where I could teach as effectively biblical truth in a way that quickly made such an impact on people,” he says. He has learned, especially with those who have a long involvement with Jesus Christ, that there is something rich about touching where He was, when He was doing what He was doing. “I found that it changes, dimensionally, people in a different way,” he adds. He also enjoys taking students, who are often still forming their beliefs about the Bible. “Once they see where these events happened, no one will ever tell them these events did not happen,” he stresses. “They will see the clarity with which the biblical text describes the events. They would have been unable to make up those accounts if they had not been there and knew the places,” he emphasizes. Smith, who is senior pastor at Grace Church, a Grace Brethren church in Sebring, Fla., is leading a GraceConnect-sponsored study tour to Israel from March 3-13, 2018. It’s one of 12 similar trips he is guiding next year, including the study tour of Italy in February that is sponsored by the Association of Grace Brethren Ministers. His tours are theme-based and designed to help participants understand the Bible more effectively. He emphasizes that the tours are paced for learning, not for checking off a site on a bucket list. Smith has been leading tours since the mid-1980s and often draws on his 15 plus years of living, studying, and working in the region. He also leads the tours from the unique perspective of a guide – he helped train the men and women who, by law, must accompany each tour group in the areas where he travels. “The government felt there was a value of having a Christian explain why Christians are coming, what a Christian viewpoint on a site would be,” he says, noting that often the guides have no idea why a believer would want to visit the region. For more information about traveling to the Mediterranean region with Randy Smith, see christiantravelstudyprograms.com or for the GraceConnect trip, click here.